In September 2017, Yewdale Primary School LAB amalgamated with Longtown Primary School LAB to become the Longtown and Yewdale Primary Schools Strategic LAB. The Cumbria Education Trust Board Directors delegate to the LAB members its responsibility and powers as the Governing Body of the School. These responsibilities are discharged by the LAB members in accordance with its constitution, any Cumbria Education Trust Policies and advice from the Department for Education (DFE) and Ofsted. The Local Advisory Board (LAB) is crucial to helping the School to raise standards. If you have any queries for the LAB or would like to contact the Chair, please email Lucy Hewson (Clerk to the Trust Board and LABs): lhewson@cumbriaeducationtrust.org or telephone: 016977 45300 (via the Cumbria Education Trust Office). Please find below details of our Local Advisory Board membership, including terms of appointment; register of interests; and meeting attendance registers. Joyce was born and brought up in Carlisle before going to University to study Geography followed by taking a PGCE qualification. Over 17 years she has taught in three secondary schools, teaching geography, maths and becoming head of department and a member of the senior leadership team. Her first involvement in governance was a teacher governor for seven years whilst at John Ruskin School in Coniston. Since moving with her family to the Eden Valley, she have worked with school governing bodies, delivering training and support. She has also worked for a consortium of secondary schools leading the implementation of One to One Tuition. Joyce’s NLG role led to her involvement with Yewdale Primary School. As chair of the Interim Executive Board, the members led the school to becoming an academy within the Multi-Academy Trust. Joyce was pleased to be asked to be chair of the Local Area Board at Yewdale, to be a part of the improvement and development of the school within the Trust. Cate moved from Accrington in the summer to take her first headship, with the Trust, at Longtown Primary school. She has 12 years teaching experience and fundamentally believes that children should be at the heart of all decisions made within education. 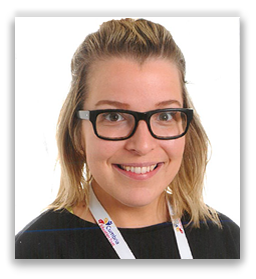 Previously, Cate has worked alongside the Maths Hub in develop maths mastery within primary schools to enhance school improvement. Having been born and raised in Kent, North Cumbria has been home for Margaret for the last 25 years, living in Longtown for 15 years. She is married, with three grown up children, and is now retired from Primary School teaching but maintains her interest in education through involvement with Longtown Primary School as a helper and a Governor/LAB Member. Margaret is also a Parish Councillor and an avid gardener. 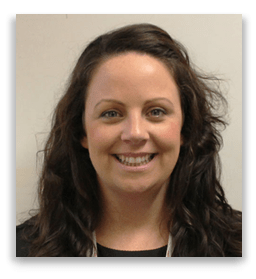 Amanda is a Senior Assistant Headteacher at Newman Catholic School with responsibilities for data, line management of the SENCo and Heads of Year. 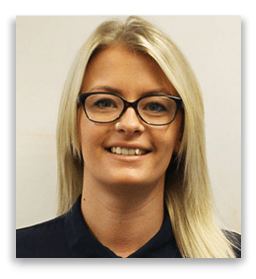 She is also the designated Safeguarding Officer and Designated teacher for Children Looked After. 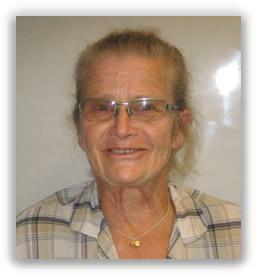 Amanda has been a teacher for 24 years having held roles within curriculum and pastoral areas. Amanda is passionate about ensuring that students have the best education possible and is thrilled to be part of the Cumbria Education Trust Primary Strategic LAB for Yewdale and Longtown Primary Schools. Having been in education for a long time, covering a variety of roles, Amanda is fully aware of local and National education issues and believes we should always do what is right for our students whilst holding staff accountable. Bridget has been teaching at Primary School level since 2010 and she currently teaches Year 4 pupils. During that time, she has taught Year 4 and 5 and led Geography, History and Computing as a co-ordinator role. Bridget hopes her work ethic, knowledge and experience would be an asset to the Yewdale Longtown Strategic Board. Kimberley is currently a teacher of Year 6 at Longtown Primary School, as well as leading on Behaviour. Kimberley previously taught in the London Borough of Newham. 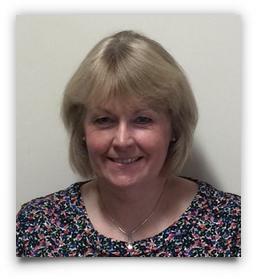 She has had heavy involvement with safeguarding, leadership and management in a primary school setting. Kimberley has a keen interest in the welfare and education of children, particularly in the field of Social, Emotional Mental Health. Raising attainment, ensuring all pupils progress and achieve is one of Kimberley’s fundamental beliefs. Kimberley hopes to bring a fresh insight to the LAB as well as an opinion from the ‘front line’. Kerry is a mum to three children whom all currently attend Longtown Primary School, as did she as a child. Kerry has lived in Longtown since 1992 aside from a four year stint which was spent travelling with a horse and circus production company. After settling down back in the town with her husband she then began her career in retail management before starting their family. Kerry is a registered Licensed Chaperone with Cumbria County Council, which she has used to chaperone her daughters’ dancing shows involving up to 150 children. 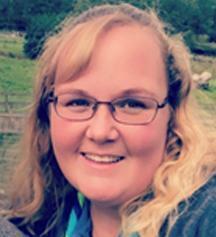 Kerry is a fully qualified Girlguiding Unit Leader. She currently runs the local Longtown Rainbow and Brownie Units. Experience gained from doing this will benefit her role in the LAB. Longtown Primary School is Wendy’s school of choice. As a child she attended the Infant and Junior Schools and despite living out of the catchment area for the last 14 years, each of her 5 children have been or are currently pupils here. The community where she grew up has suffered many losses over the years and the Primary School is one of the remaining constants, providing education in a suitably sized environment. Wendy is keen to see the School move forward and improve, this can only happen if everyone moves in the right direction, being a Parent LAB member allows her to ensure her parental opinion is heard and that balance is considered when making changes. Wendy’s work experience is varied, currently she is Transport and Finance Manager for a local business. Previous employments include the Disability Association and Education Finance. Wendy was also an original Trustee of Pear Tree Nursery and served 4 years building a strong childcare provision in Longtown as part of that team. She believes the varying roles have given her a good platform to develop within the LAB for Longtown Primary. Tracey Hill is a Business and Computing Graduate of Lancaster University. Tracey started her career in Industry and has worked in education since 1995, including the University of Northumbria, Carlisle College and local Primary and Secondary schools. In addition, Tracey taught Adult Education computing classes in Carlisle for over ten years for Trinity Adult Education Centre. Tracey is married to Mike who grew up in the local area and has two grown-up children, one of them is a Primary School Teacher. Tracey has worked at William Howard School since 2004 and, as well as her teaching commitment, has led across the school on careers, enterprise and financial education. During 2014 William Howard School became a Personal Finance Education Group ‘Centre of Financial Excellence School' through Tracey’s leadership and in 2015 Tracey became Financial Education Teacher of the Year. 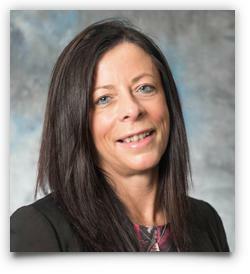 Within her role, Tracey works closely with businesses, education and training providers and is Chair of the North Cumbria Careers Network Group. In addition, she was the school representative on the Executive Committee of Cumbria Collaborative Outreach Programme making decisions on spending and resources during 2017 to 2018. During 2016-2018 Tracey undertook a secondment to work for Cumbria Education Trust as Lead Practitioner for PSHE, Careers, Enterprise and Financial Education and supported all Trust schools. Tracey was also business link attending several business groups on behalf of the Trust and responsible for income generation as sponsorship co-ordinator. Tracey is an Associate Member of the School Leadership Team in William Howard School and is Curriculum Leader for Business Studies and Careers Lead in school. Tracey feels her experience of being on committees and being a Chair, along with her links to industry and her various work-related roles including knowledge of working within the Trust schools, gives her an understanding of how important it is to promote Yewdale School’s vision and values. Tracey feels passionately that being a LAB member offers a privileged opportunity to work alongside other members who support the interests of the school and its community to make a difference to the outcomes for young people. 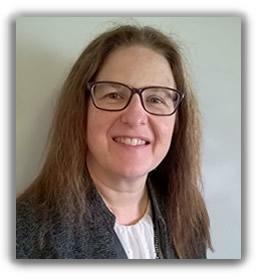 Rebecca is Managing Director of a local Education based employment agency and training provider. She has daily contact with Schools, Teachers and Support Staff which gives her a sense of perspective and a good degree of knowledge of educational issues. She is a qualified HR Professional and has worked in HR across a number of sectors for the last 20 years. Rebecca hopes that her experience and involvement will be an asset to the LAB.